Have you been dreaming of an outback birding adventure? making NT Bird Specialists part of your BIG year. 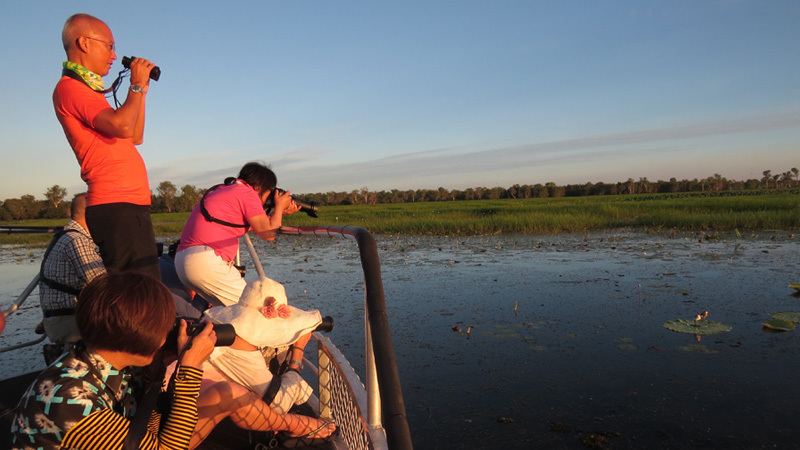 When is the best time for bird watching in the Top End? Birdwatching in Darwin and the Top End is always superb, so it depends on what you want to see and places you want to access. Darwin and Australia’s ‘Top End’ undergoes dramatic seasonal changes throughout it’s annual tropical wet/dry monsoon cycle. May The last monsoon storms have released their fury and humidity begins to drop once again. The bulk of the tourists have not arrived for the peak of the ‘dry season yet’, which means you can enjoy uncrowded wildlife and photographic opportunities, while surface water is still prominent. Waterfowl chicks can be seen with their parents furiously feeding through water running off the floodplains, while mature waterbirds flaunt their breeding plumage to one another. The busiest period for birdwatcher and photographers who enjoy lower humidity with warm days (around 29°C (≈84°F) and cooler nights (as around 12-20°C (≈53°F+). Infrequent rain is a welcome surprise during Top End ‘Dry season’. The Dry season is a very comfortable time of year to explore the Top End and Kimberley Regions on extended tours and pleasant camping weather to see the clear starry night sky. We walk around dry inland gorges and bush, seeking Gouldian Finch and Purple-crowned Fairy-wrens. Chestnut-quilled Rock-Pigeons are plump from feeding on the spinifex seeds in Kakadu’s stone country and the wetlands are teeming with bird and reptile life. Temperatures begin to rise and surface water shrinks. Birds congregate on mass around shrinking puddles as the monsoon season forms ‘The Build Up’. Excellent for bird photography. The inland daytime temperatures can rise to 38°C (over 100°F+). Rain and electrical storms build, driving the humidity upwards, but can also bring relief from the hot sun and create brilliant storm photography sessions. This is one of the best times for birdwatching in the Top End and brings the largest species counts, as migratory species arrive on their southward migration. We rise early to beat the heat and you’ll be rewarded with great views of birds coming in for their morning activity. A small inland water hole or creek is a perfect place to sit and wait for thirsty parrots, doves and finches to come in for a drink. Masses of water birds can be seen noisily congregating around shrinking water bodies. Monsoon forests and rock shelters provide cooler relief for Rainbow Pitta, fruit doves, shrike-thrush, owls and rock wallabies. ‘The Wet’ Monsoon season brings afternoon downpours and potential cyclone activity. This is the best time of year to view migratory shorebirds along Darwin’s coastline. Towards the end of the Wet, shorebirds start to get their colourful breeding plumage before taking flight to their breeding grounds in the Russian Tundra. Guests visit us in Darwin to ‘twitch’ vagrant species blowing in on the wind. Widespread flooding causes lowland birds to spread out. With the abundance of food and water, it conditions them for breeding. It’s a great time to take a slow relaxed tour and really soak up the sandstone escarpment areas, as wildlife relaxes and trees are fruiting, perfect for endemic Banded Fruit-Dove and White-lined Honeyeater. What is the difference between your accommodated and camping tours? Our accommodated option is a comfortable standard ensuite room with air-conditioning. Hotel rooms and service standards differ between locations and may not be quite as high in remote locations as you may be used to. In some regions we have access to high end and luxury lodges, which you may request for private tours and custom itineraries. Our camping option includes a single elevated stretcher tent, pillow, pillowcase, sheets and a self-inflating mattress. You may want to bring a lightweight sleeping bag for Dry Season nights. A single supplement applies for night 1 of camping tours only if staying in a Darwin hotel (when stated in itinerary). How environmentally friendly are the tours? NT Bird Specialists respects the natural and cultural assets found in the environment we are lucky enough to operate in. We aim to minimise food packaging, rubbish and waste and have palm-oil free menus. We support local and indigenous-owned businesses. Our tours follow minimal impact principles, including ethical bird watching and photography guidelines. Our vehicles are modern and fuel efficient. Our Sri Lanka tours practise low impact sustainable tourism principles. We employ local guides and eat at local restaurants with local meals. We do not feed wildlife on our tours or engage in activities that can be harmful to wildlife. What can I see and do in Darwin? 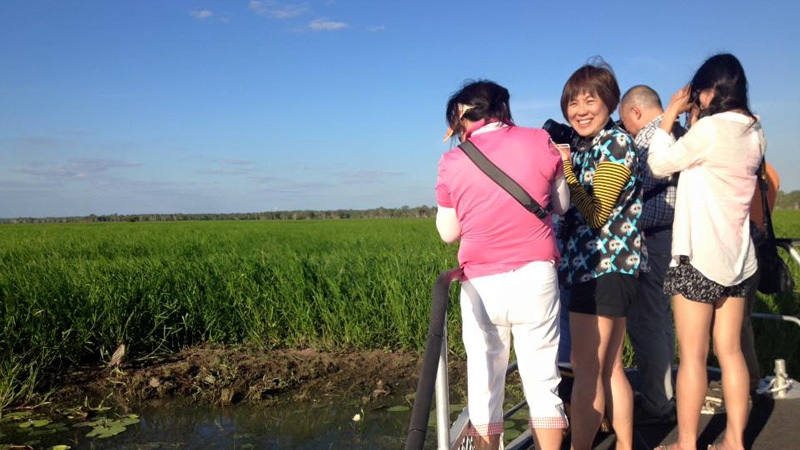 Darwin has a wide range of short and day touring options, along with many local attractions and seasonal events. We’re happy to provide suggestions and refer professional services where appropriate for pre and post touring activities. We can package other experiences on request. I’m travelling by myself. What are my options? Single travellers can choose to join a group tour (single supplement and minimum guest payments apply) or book a private or custom tour. It really depends on your budget and what is available at your preferred time of travel. Please let us know if you are a single traveller willing to share a twin room with other guests (no single supplement applies), and we will let you know if anyone is interested to share with you. Sri Lanka tours have a triple share option. Family rooms may also be available on request and subject to availability. I have reduced mobility, how long are the walks? Generally speaking, walks are between 0.5-3 km and up to 6 km on longer tours. You may book a private tour for a more strenuous itinerary with difficult grading tours. Walks vary from easy to moderate (relatively flat with the occasional walks up to lookouts or rocky steps). We recommend a private charter for those who would find this difficult or have limited mobility. Please note our vehicles are not wheelchair accessible but have space for a frame or walking stick. Please advise us of any special needs or requests at the time of booking. We will try to accommodate your needs and/or requests where possible. We recommend that you take out a comprehensive travel insurance policy prior to departure of our tour, which covers you for the duration of our tour. Travel Insurance is not included in your tour price. NT Bird Specialists recommend that you purchase comprehensive travel insurance that includes (without limitation) coverage for: accidental death, medical expenses, loss/damage to personal belongings and luggage, water and land-based activities, and airfare/travel disruption due to reasons beyond yours or our control. Comprehensive Travel insurance is compulsory on theCanon Collective Kakadu Photography Tours and our Sri Lanka Tours. Please provide your travel insurance details at the time of booking. I have medicines to keep cool, is that possible whilst on tour? Yes, we have a car fridge to keep them cool. We travel in remote areas with limited medical facilities so please come prepared and make our team aware of anything essential we should know to keep you well. Our team is trained with Senior and remote first aid. I have special dietary requirements, what will I eat? We can cater to vegetarian, vegan, coeliac or allergies if we are notified at least 7 days prior to tour departure *We will do or best to assist if notification is within 3 days of departure. Our meals consist of fresh and healthy foods, continental breakfasts, hot buffet breakfast and picnic lunches. **Please note, we do not specifically cater for ‘fad diets’** Guests are welcome to bring small amounts of personal food with them that we can keep cool. Breakfasts and lunches are mainly eaten outdoors on location whilst we bird watch. Dinners will be eaten in restaurants close to the nightly accommodation but occasionally we cook. On Sri Lankan tours, we eat hearty buffet-style (mix of Western and Sri Lankan cuisines) and home-cooked lodge meals. We occasionally eat at clean roadside stops in small towns. Please let us know at the time of booking if you have any dietary requirements. Can we reserve seats in the vehicle? Unless it’s a private tour, everybody has the same access to all seats. Seat rotation is most welcome and encouraged on group tours. What time is pick up and drop off? * Our 1 day tours commence pick up at 7am. * Our multi-day tours commence at 6:30 – 7 am. * Our photography tours pick up time is announced closer to the touring date. Our tours depart early so we can make the most of prime bird and wildlife watching opportunities in the early morning. All tours aim to get back in by 5:00 – 5:30 pm on the final day of tour. We recommend you book at least one night’s accommodation in the destination where your tour ends, and fly out the following day to allow for any unforeseen circumstances. Flights are not included in the tour price. Shuttle buses and taxi are available around Darwin to Darwin International Airport. Are there laundry and WiFi facilities while on tour? There are a couple of locations where laundry facilities are available on longer tours. WiFi is growing in coverage but limited or absent in some remote regions. Most townships have ‘Telstra’ sim card signal. Victoria River has a public phone which accepts Telstra phone cards. Is there power available when camping? Every effort will be made to provide access to power when camping for charging phones/batteries etc… We often use a surge-protected powerboard or inverters over night. Portable battery chargers with Australian plug and USB sockets are available in the vehicle. All ensuite rooms have power. What do I to bring on tour? It’s advisable to travel with a soft overnight bag or small suitcase on group tours. Most hotels offer luggage storage for those retuning to the same destination. 1 litre water bottle (you should drink 3 litres of water per day in the tropics). How many other people are on the group tours? To deliver personalised tours, advertised group sizes remain small, usually 2-4 or 5-8 passengers in a comfortable air-conditioned 4WD or modern mini-van. We join larger public groups when travelling on some boat cruises. Private tours can have 1-11 guests – If larger groups wish to book, please contact us to discuss options. Private boat cruises are booked on request and subject to availability. Our tours require a minimum 2, 3 or 4-guest payment to depart (depending on itinerary). Scheduled group photography tours: 3-6 guests, bird watching tours: 3/4-8. Sri Lanka Itineraries have 6-10 guests plus NT Bird Specialists tour leaders.